Our one-of-a-kind Airstream trailer has left Austin to begin our Summer of Love Road Tour. The Austin Airstream is a 30-foot vintage, refurbished 1970s trailer designed by local artisans, complete with an on board music studio and an area inside ideal for conducting interviews and private concerts. The Austin team will be cruising across the Northeast to promote Austin to leisure visitors and meeting professionals. Locals are encouraged to visit the trailer and listen to some of our local musicians along the way including The Roosevelts and Riders Against the Storm (RAS) at the Big Apple BBQ Block Party in NYC and also Niagara Falls, and a variety of artists including Dana Falconberry, Leo Rondeau, Carson McHone, Jesse Moore, Aisha Burns and Mrs. Glass at NXNE in Toronto. The Austin CVB, in partnership with Orbitz, will also be giving away a trip to Austin for the 2014 Austin City Limits Music Festival, October 10th-12th. This prize includes two round-trip airline tickets, two weekend passes to the festival, a two-night stay at the W Hotel in downtown Austin, and a gift certificate to Trace. To enter, simply snap a selfie with the airstream, tag it with #ATXSelfie and post to Instagram, Twitter or upload to Austintexas.org/ATXSelfie. If you are unable to visit the Airstream, you can also submit an #ATXSelfie by making your own ATX sign and submitting online. 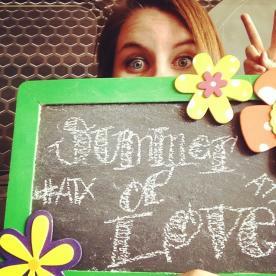 Enter your #ATXSelfie at bit.ly/atxselfie for a chance to win big! Follow the Airstreams journey online at ATXairstream.org or check out Twitter.com/VisitAustinTX and Facebook.com/visitaustintexas for the latest information and schedule updates.